Athens Roof Pros - Roofing Contractor Athens GA, Roofing Company Athens Georgia. Athens roofing contractor, Athens Roof Pros provides the highest quality new residential roofs & roofing repair services in Athens. Call us- 706-363-2265. 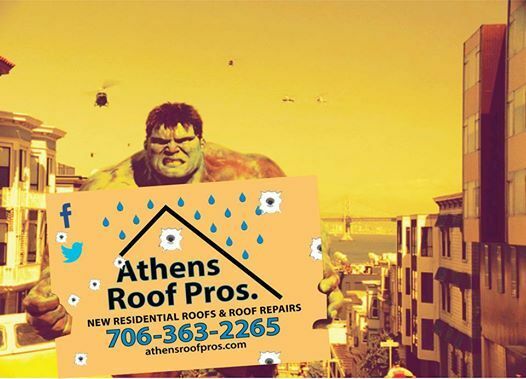 Here is the definitive list of Athens's roofing contractors as rated by the Athens, GA community. We provide Roof Repair Service, New Shingle Roofs, New Metal Roofs, We are Roofing Company Athens Georgia, Roofing Companies Athens Ga., Watkinsville GA Roofers, Roofing Winterville Ga. We are Top Rated Roofing Companies, Athens Georgia Roofers Georgia.